An ongoing crisis summary to keep you informed, active, and sane. Written from a center-left perspective, focused on removing the threat of Trumpian autocracy. By Francis Hwang. 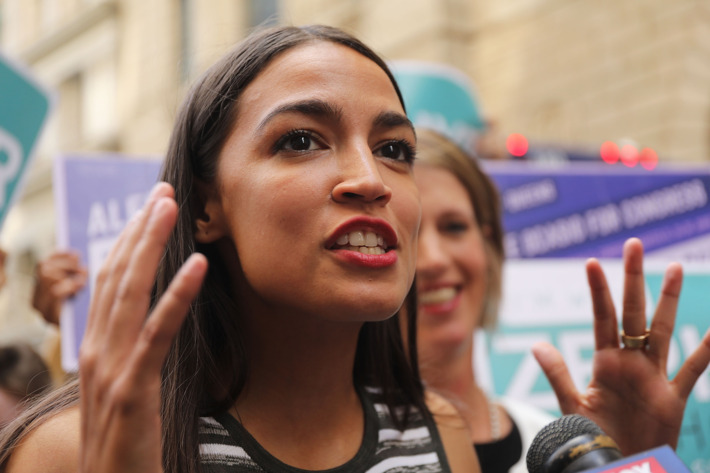 At the end of June, 28-year-old Alexandria Ocasio-Cortez won a stunning upset in the Democratic primary for New York's 14th Congressional District, defeating 10-term incumbent Joseph Crowley for the party's nomination. Ocasio-Cortez is a member of the Democratic Socialists of America, and her primary victory is the most recent example of the DSA's rise within the Democratic Party. What does this mean for the party this year and beyond? Your writer does not count himself as a socialist: He believes that a well-regulated, competitive economy can offer the ideal mix of economic growth and protection for society's most vulnerable people. Nonetheless, he believes that the rising tide of democratic socialism should be welcomed by the Democratic Party as a vital step in reinvigorating the American left. First and foremost, the presence of a few socialists in the party does not mean wholesale takeover, but it does grant activists the chance to spark a national reassessment of how markets should function for society. In 2011, Occupy Wall Street offered its participants a chance to imagine the contours of a more humane economy. Today, high-profile DSA victories help advance that conversation among non-activists. Consider Ocasio-Cortez's post-victory appearances on The Late Show with Stephen Colbert and The View, which gave her a chance to explain her view of democratic socialism to millions of viewers across the country. In America, this conversation may not hold the dangers it once did: The label "socialist" may be losing its ability to scare voters. Some polls suggest that, among those aged 18 to 29, socialism is more popular than capitalism. And specific policies pushed by socialists are fairly popular: Medicare for All, for example, could potentially win over a majority of voters in midwestern states such as Michigan and Ohio. Consider also the role of enthusiasm in turnout and organizing. Bold progressive or socialist policies, such as calls to Abolish ICE or offer Medicare for All, are likely better at driving turnout than more cautious centrist proposals. In midterms, when only 40% of voters typically go to the polls, bringing new voters to the polls could lead to more than a few gains. Such policies are also likely to inspire activists into joining the political process, bringing more young recruits to the party. Given the advanced ages of our current party leaders, we should be mindful of the need to develop the next wave of leaders for the years ahead. For decades, centrist Democrats like Presidents Clinton and Obama argued that it was possible for smart, forceful regulation to restrain the worst side-effects of capitalism. Arguably, they failed. Working class Americans continue to be left behind, and the DSA's recent victories stem in part from that bleak fact. Pro-market Democrats will need to do some serious introspection to present a credible path forward. In the meantime, the DSA will keep turning voters out, running for office, and forming a new left flank within the Democratic Party. In doing so they will help strengthen the country and the party. They will also deepen the ranks of those who seek to restrain a Republican Party that becomes more white nationalist, and more anti-democratic, with every passing day. Click here to learn more about how to get involved with the DSA. Ocasio-Cortez was also endorsed by A Brand New Congress, a progressive-but-not-socialist PAC: You can learn more about them here. Special counsel Robert Mueller's team charged 12 Russian intelligence officers with a range of offense related to efforts to interfere with the 2016 election. These officers are unlikely to face charges in the U.S., but the indictment lays out how much detail federal investigators have on Russian active measures, and hints at possible indictments of U.S. persons in the future. The closer that Mueller gets to Donald Trump and his associates, the higher the odds that Trump will try to fire him. MoveOn is maintaining a list of those who will join a protest if such a firing should occur. Click here to add your name. Management consulting firm McKinsey has stopped working for Immigrations and Customs Enforcement. Employees at competitor Deloitte are circulating a petition to have their employer stop working for ICE as well. Swiss Re, the world's second-largest reinsurance company, will not provide insurance or reinsurance to businesses with significant exposure to the coal business. Federal prosecutors dropped 38 cases against protestors at Trump's 2017 inauguration. A gunman burst into the Capital Gazette newsroom in Annapolis, Md., and killed five people. The shooter had a six-year feud with the paper and a conviction of harassing a woman who successfully place three restraining orders against him. Portland police broke up a right-wing protest due to violence between the protestors and antifascist protestors. In Boise, Idaho, a man stabbed nine people gathered for a 3-year-old's birthday party. All of the victims were refugees from Syria, Iraq, and Ethiopia, and six of the victims were children aged 12 and under. All of the victims have survived their injuries. At least 19 Immigrations and Customs Enforcement investigators signed a letter asking to dissolve their own agency, concerned that the Trump administration has ruined the agency's ability to pursue violent crime instead of simply focusing on deportations. Meanwhile, recent polls suggest that most Americans disapprove of Trump's immigration policies, but Republicans remain largely supportive.